As a village far off the beaten track, Otaki sees few non-Japanese visitors. 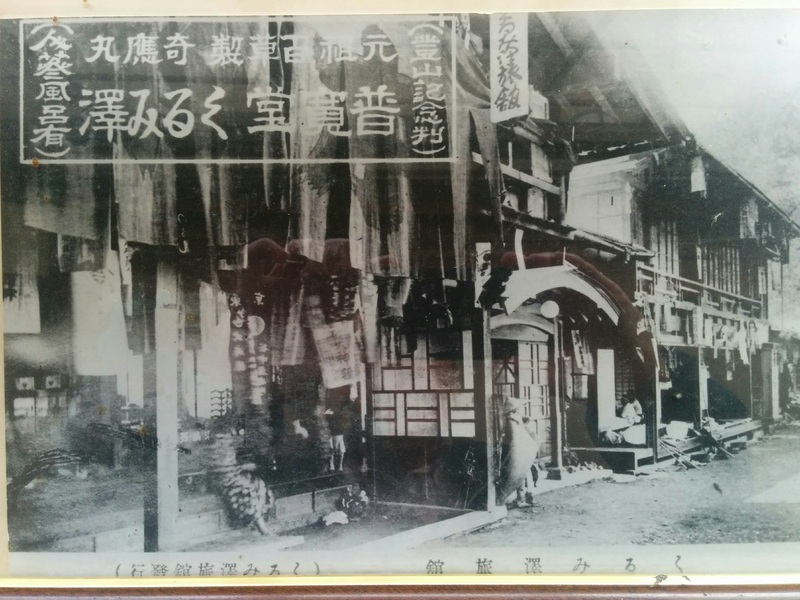 Until recently most accommodation was used exclusively by groups of pilgrims who came to worship at Mt. Ontake. Below are our recommendations to make the most of your stay in Otaki. See the map below for exact locations. For more information or reservations, please contact us. This remodeled Japanese inn was first built in 1921 and retains its classic charm while adding modern energy saving features. 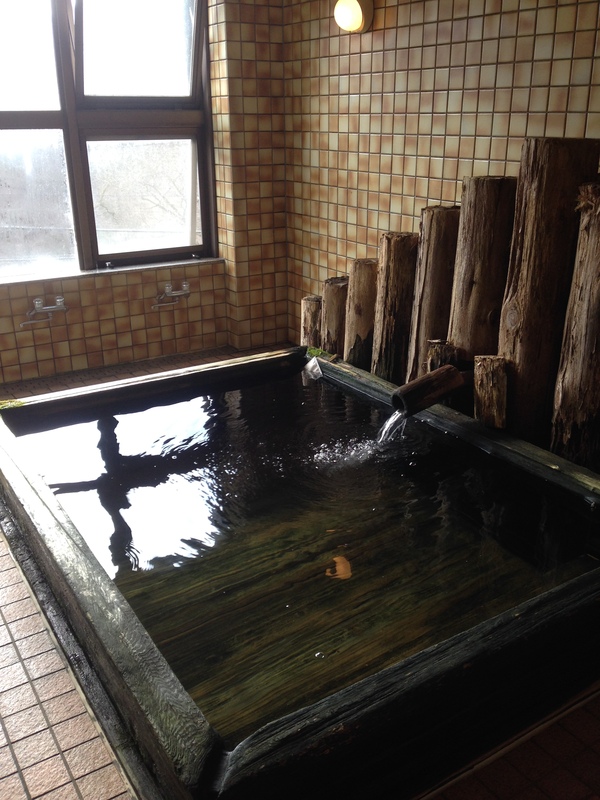 Their bath house uses water from Otaki Hot Spring up the mountain. Rooms have views of the hills across the Otaki River valley. Food is local and seasonal and eaten in the atmospheric dining area. WiFi is available throughout the building. The owner Hide-san speaks some English. From 8,000 yen / night. Petite House Seoto is a relaxed bed and breakfast about 3 km from the village center up Mt. Ontake. 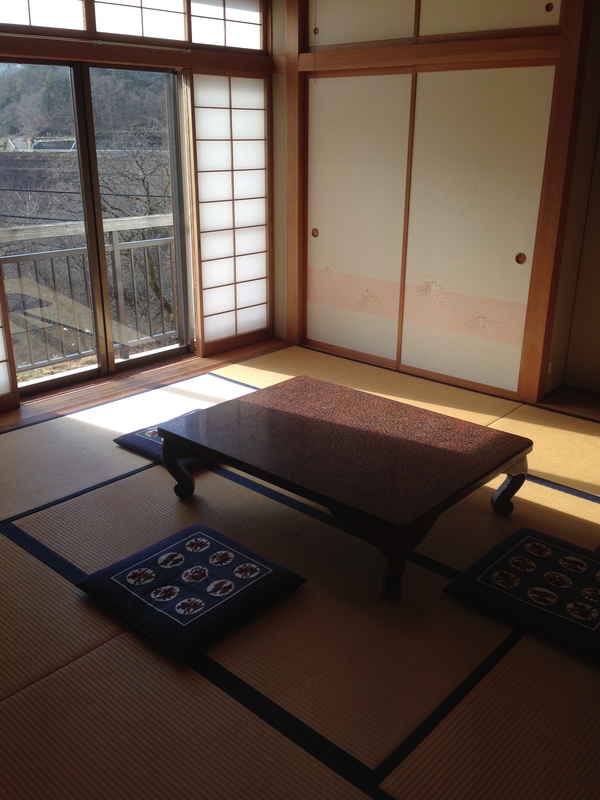 Simple Japanese style rooms are augmented by a restaurant / dining area. From May until October, the owners hold frequent barbecues for guests in front of the house. 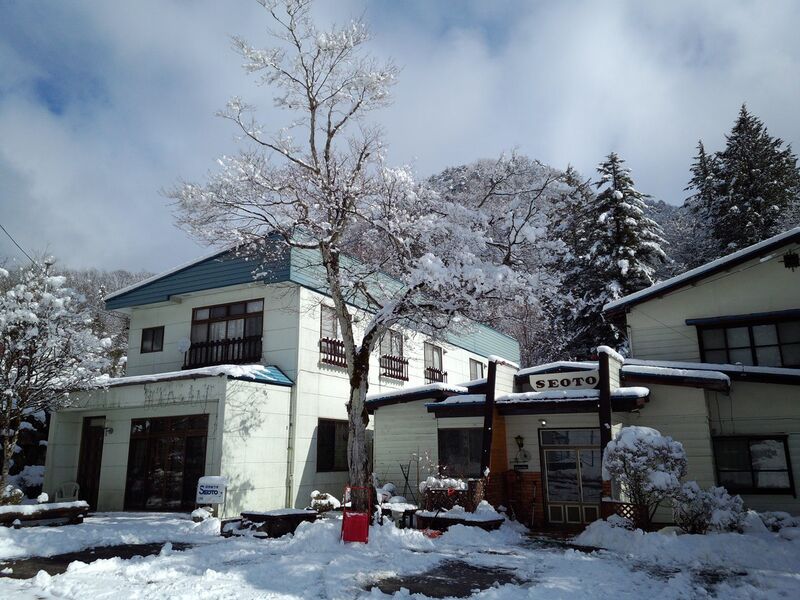 Special pricing plans can include the barbecues, kayaking on Lake Ontake, stargazing up the mountain, or skiing (in season). They also often light up the irori (traditional Japanese hearth) and roast locally caught iwana with their guests. WiFi is available throughout the building. They are happy to pick up guests at the village center. This historic inn has hosted groups of pilgrims since the 1800s and has been run by the same family for 10 generations. The original building burned down in the 1960s, but the rebuilt inn maintains numerous traditional touches, including huge rooms on the upper floor for hosting groups of pilgrims. 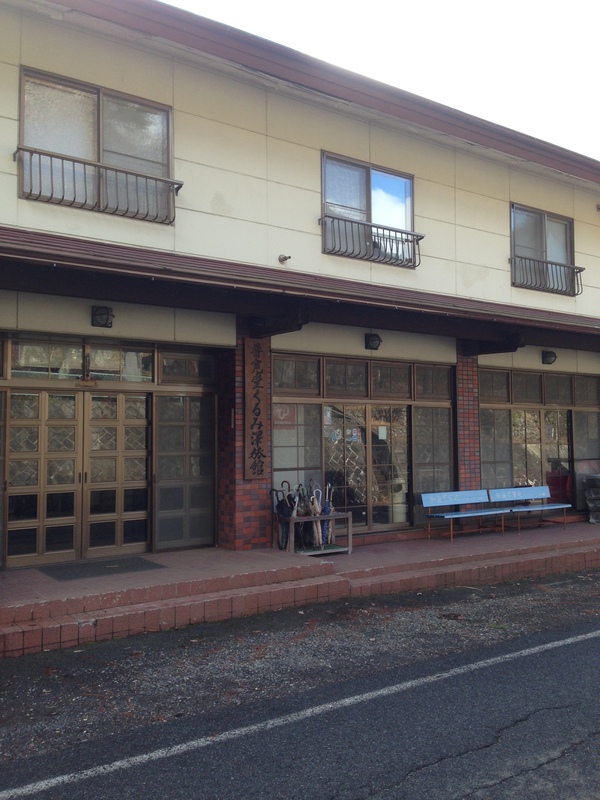 The inn is close to Ontake Satomiya Shrine, perfect for exploring the Ontake Pilgrimage Trail. WiFi is available throughout the premises. Meals are traditional Japanese banquet style in the large inner room. 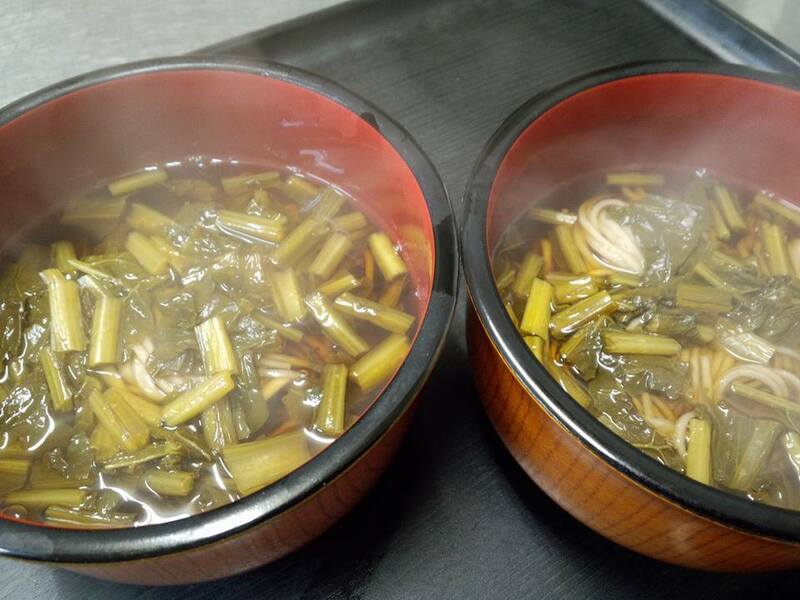 Vegetarian meals (hon-shojin ryori) are available on request. 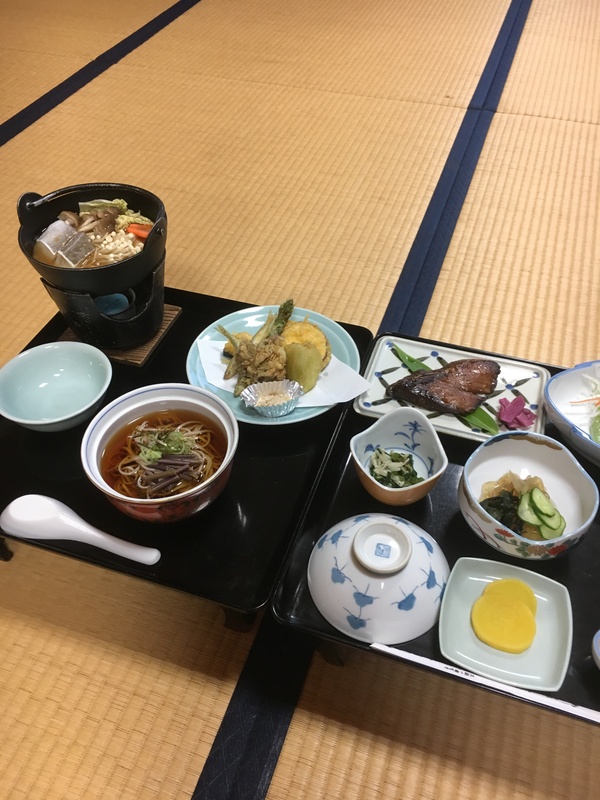 Dinner: the menu this evening included local soba, tempura, and a variety of side dishes. Located in the remote Otaki hamlet of Takigoshi, the Mori-kichi Campground offers woodland camping at its best. Unlike many Japanese campgrounds where campers are crammed together like downtown Shibuya, here there is plenty of space between the sites. Bounded by national forest, a pristine river flows past the campground. There is a swimming hole with a view of Mt. Ontake and boulders you can jump from. 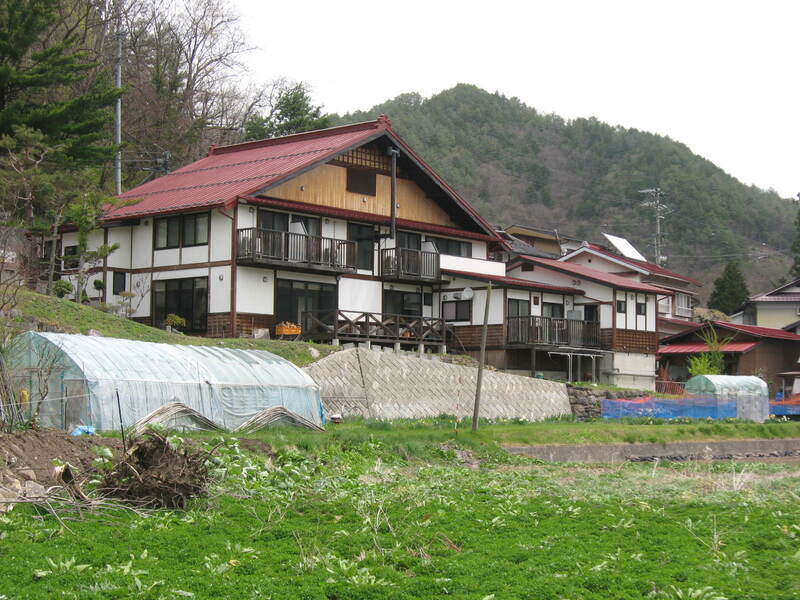 The adjacent Sui-koen facility sells roasted trout, wild boar kebabs, and beer.